Kansas City is home to countless architecturally significant buildings (we could count them, but that could take a while). The history of Kansas City architecture began in the 1820s, but the modern character really hadn’t developed until 1920. Although it is ambitious to narrow down the structural achievements that make this city unique, the architects at Generator Studio, located in the Crossroads Art District, took on the noteworthy task. As Kansas City’s first skyscraper at the turn of the century, this castle-like, ornate building was built in a Neo-Renaissance style. With a New York state of mind, famous architects McKim, Mead, and White stunned Kansas Citians. As a high-rise in the Library District, this building embodies the revival of downtown Kansas City and lives to be a true catalyst for the skyline you see today. Completed in 1888, the quality that went into the design and construction of this historic building speaks for itself by withstanding the test of time. As the official memorial of those who served our country, this iconic tower is a physical representation of how much WWI impacted the world. Designed in the early 1920s by H. Van Buren Magonigle, the National Museum encompasses Egyptian revival architecture. This cylindrical tower that rises up to 268 feet offers awe-inspiring views of the Kansas City skyline. Talk about angles. The Art Deco high-rises of this structure continue to define downtown Kansas City with its accentuated verticality and clock tower. 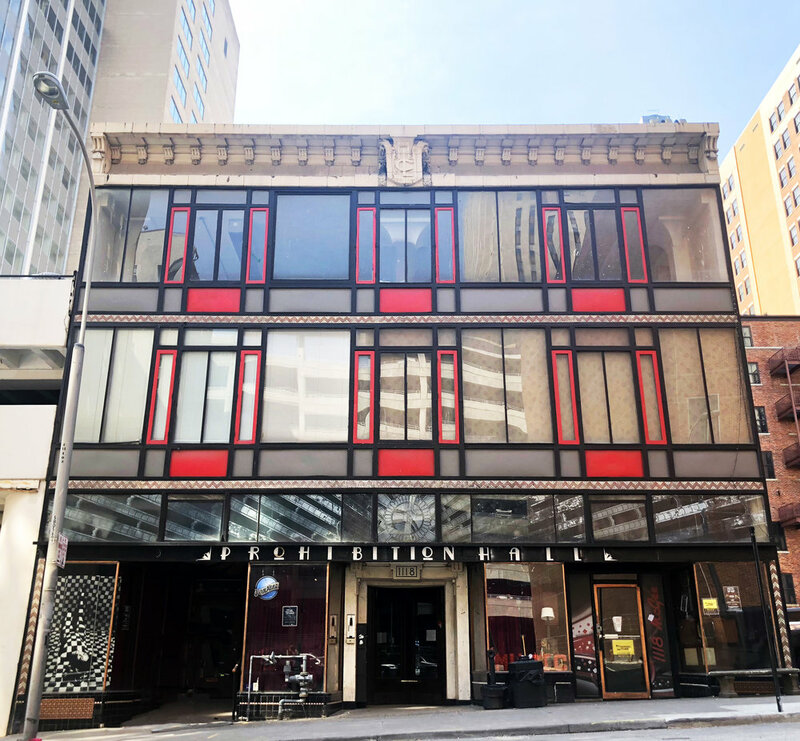 Designed by local firm Wight & Wight, the Pickwick Complex was a downtown destination with a variety of uses including an office building, bus terminal, and even a hotel, rumored to be frequented by Harry Truman himself. Designed in 1908 and constructed in 1909, this historic three-story building doubled as a home and studio for architect Louis Curtiss. The integration of his own residence, office, and first floor use makes it unique. The building was listed on the U.S. National Register of Historic Places in 1972. This beloved building fuses not only historic with present-day style, but also day and night with it’s time-changing facade. Solid and opaque in the light of day transforms into glowing and ethereal by night. The contrasting style of contemporary with classic working its way through the landscape makes it aesthetically alluring. Designed by Steven Holl, this building is located on a rolling terrain on the east side of the Nelson-Atkins Museum of Art, another fantastic piece of architecture with which is connects. The Bloch Building will undoubtedly stun your Insta followers. The new chapel and academic space at this college prep is a visual ode to St. Teresa, the patron saint of lace makers, while the use of brick preserves design continuity with the existing campus. With lace as the stencil for the cut metal facade, the creative use of white metal pops and adds an interesting contrast to this local high school. Behind the lace exterior, light filters through and constructs light, feminine shadows inside the 150-seat chapel. This building was built in 1963 during the modernist movement in architecture. It embodies the simplicity and repetition of modernism. It proves that a minimalist approach can be expressive and beautiful (even in an office building). Designed by Skidmore Owings & Merrill LLP, this 7-story, 105,000 square-foot rejects the trend of surrounding architecture on the Country Club Plaza. 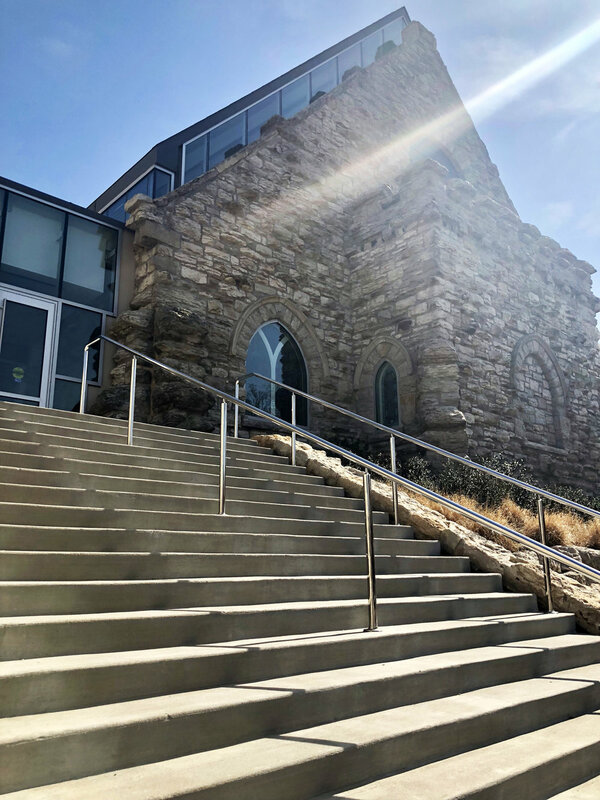 Situated in Kansas City, this historic church incorporates modern architectural practices to enhance its historical character. The reconstruction took place in 2012 and features renovations that incorporate the use of light and the details that emerge when connecting the modern addition with the existing. This multi-story building is situated in one of Kansas City’s oldest and most historic neighborhoods. Stop by after you brunch with friends in Westport. What do you do when you need a 380,000 square-foot convention space, but have nowhere to put it? Apparently, you build four 300-foot-tall concrete pillars and span that space over a 6-lane highway. It's all about how the structure solves a difficult problem. Everything about the architecture is straightforward and honest; no fuss, no trying to disguise or dress up what’s happening. Just an immense structure creating what is actually the world's largest column-free exhibit space. Well, there ya have it archi lovers. Be sure to post your favorite buildings in Kansas City and attach #NationalArchitectureWeek to your photo. Let’s get #KC trending!